When you are sewing, to "baste" refers to temporarily joining fabric together. 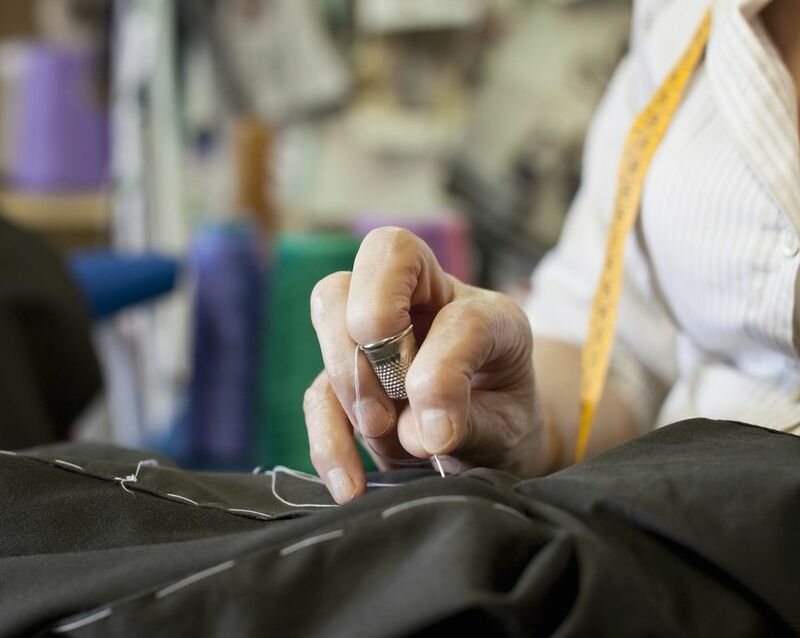 It's the process of temporarily sewing your fabric together with long removable stitches. You pronounce the word bay-sting, it's said just like what you do to the turkey on Thanksgiving. It's an easy but time-consuming task if you're not a quick sewer. While basting may seem like an unnecessary step it will actually save you time in the long run and prevent a lot of problems while you're sewing. The best part of this process is that it's really easy. Because baste stitches are meant to be removed you really don't have to put too much effort into them. Basting is the action of sewing a temporary stitch which is easily removed once you do the permanent sewing. In order to baste something, you want to make large, removable stitches by hand or machine. The more you need to hold something together, the smaller your basting stitches will be but they are always sewn with removal in mind. Machine basting is also used to ease in and gather fabric. Basting doesn't need to look pretty, it's all about function. When done properly the owner of the finished product will never even know they were there. Most fabrics you don't need to worry about needle holes but some, like leather, are another story. If you have to work with an unforgiving fabric you'll want to make your basting stitches as close to where your sewn hemline will be. Naturally, when a pattern tells you to baste you should but what about pieces of your own design? How do you know when to baste then? Basting serves a specific purpose in sewing, once you understand that purpose it's easy to tell when you need to baste. Fabric that's hard to work with, like silk, which can shift while sewing is often basted to keep the fabric in place during the actual sewing. While some fabrics are infinitely durable other's are much trickier to sew. Fabrics that feel "slippery" or that stretch a lot can be hard to sew correctly. If you're sewing odd shapes for a Halloween costume or a children's play costume then basting can also help guide your sewing. Basting holds something in place to test the fit of a garment, join two pieces which may be difficult to fit together or to test the look of alteration before final stitching. It is also used to temporarily close a seam as in inserting a zipper. The lining fabric is slippery, so you would want to baste it before you do the final stitching. Attaching this circle of fabric to that long straight piece of fabric looks impossible so you should baste it first. The hem allowance on your pants is a bit wider than the pant leg, so you will need to use machine basting stitches to ease in the fullness.